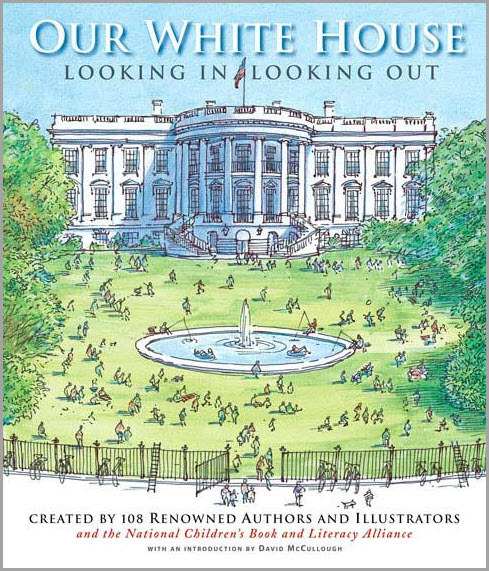 Our White House: Looking In, Looking Out was first published by Candlewick Press in 2008 in hardcover. 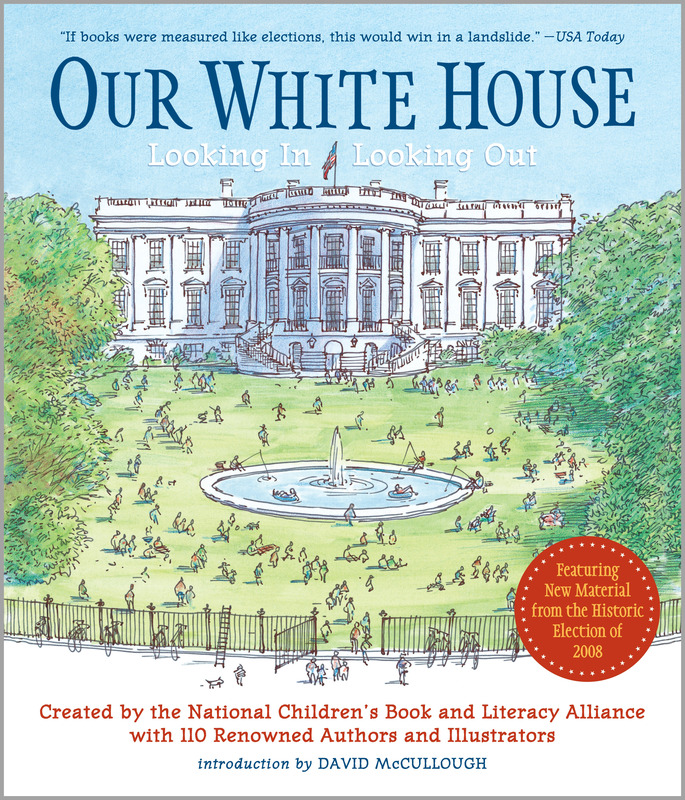 A paperback edition, featuring new content celebrating the inauguration of President Barack Obama, was published by Candlewick Press in 2010. Both covers feature the artwork of David Macaulay, but use different title fonts to distinguish the two editions. The hardcover is pictured at left on the top; the paperback is pictured below it. The following lists the content and creators of the cover and front matter materials in Our White House. To the right of each title are links to supplemental content on this website that relates directly to the cover artwork and the two opening articles. Read the complete and expanded version of Gregory Maguire’s poetic metaphor about the White House.